If you have been trading the demo account, you might have fewer things to worry about! A demo trading world is not as impulsive as the live trading account. You do have to trade the demo account like you would trade the live account. But a demo account is a bit different from the live account. Also, read as much as possible before you start investing in a live account. When a trader starts his journey to trade the live account, there will be differences in his behavior and trading method. It is not possible to trade the live account without changing the behavior and the trading pattern. However, if you want to become a successful trader you should not look at the demo account like it is not important. If you want to become successful like an American, British, Japanese, Saudi or Singaporean trader you should start with a demo account. You should not treat demo account like something unimportant. So, what should a trader know before he enters the live market? We will explain the steps to be taken when you move from the demo account to the live account. Fundamental analysis is the most important thing you need to know as a currency trader. Some of you might think technical data is enough to secure the best trades in this market but this is not all true. Technical analysis will only help you to find the best trades but it will never help you to ride the market trend. In fact, major breakouts of the chart patterns and key levels occurs during the event of the high impact news release. So if you don’t educate yourself on the fundamental factors of this market it will be extremely difficult for you to make money in the long run. Just give yourself some time and try to understand the economic activity of this market. Once you know the basic details of things will become extremely easy for you. What is your attitude about trading the Forex market? Do you think it is one of the best markets? Or do you think it is a market for millionaires? Before you start trading the online trading account in a live market, you should clarify your attitude. You should keep your attitudes clean if you want to become a pro! Most traders have the attitude that would never suit for a professional trader. They have the attitude that the market is for money making although it is not. This is a market to become successful although you can a lot of money. There is one more thing you should bear in mind, you would not be able to make money or become successful overnight. It might take a lot of time before you become a professional. For some traders, it would take a few years to become successful. So basically, it depends on the type of traders. An individual’s attitude will have a greater impact on the market. It will impact the trading journey as well. You should know this before you actually, trade the live account. Why did you enter the Forex market? What was your motivation to trade Forex? Did you enter it with the motivation of making money? Or did you enter the market to become a professional trader? What was your intention? Of course, different traders can have different motivations. We cannot say that it is wrong to have such and such motivations. But, motivations like money-making wouldn’t let the trader remain in the market. So, before you enter the live market, focus on your motivations and know your limitations. Only invest in what you know and understand. Otherwise, you are taking on too much risk and with that the downside risk as well. The last but important factor is about the market knowledge. 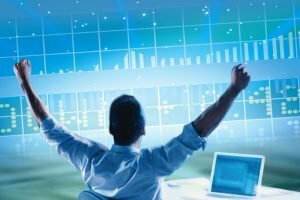 You should have the market knowledge if you want to become a pro trader. Before that, if you are entering the live market, make sure that you know the market really well. If you don’t have enough market knowledge you wouldn’t be able to become a good trader. While there as many aspects to trading one is to establish a long term strategy that works for your risk tolerance. You can even just get started with a small amount of money by micro investing.